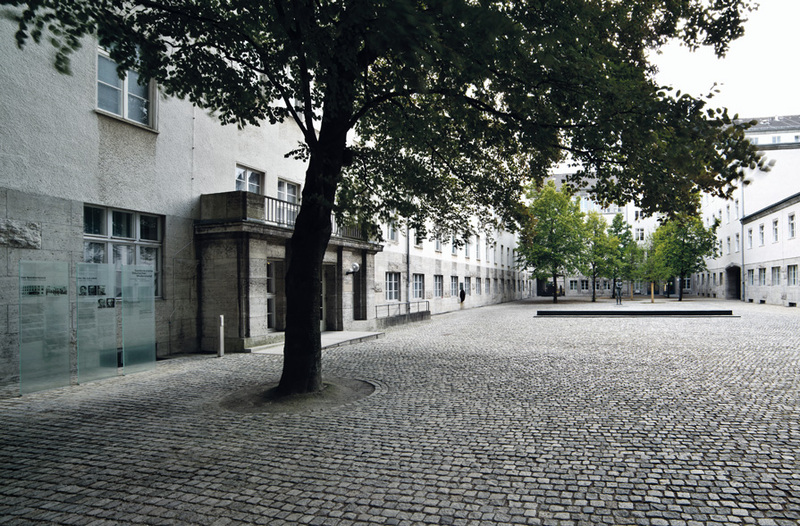 The German Resistance Memorial Center is located in the Bendler Block in Berlin’s Mitte district, at the historic site of the attempted coup of July 20, 1944. On July 20, 1952, on the initiative of relatives of the resistance fighters of July 20, 1944, Eva Olbricht, widow of General Friedrich Olbricht, laid the cornerstone for a memorial in the courtyard of the Bendler Block. July 20, 1953, Berlin's mayor Ernst Reuter unveiled the monument created by Professor Richard Scheibe, the bronze figure of a young man with his hands bound. On July 20, 1955, the former Bendlerstrasse was ceremoniously renamed “Stauffenbergstrasse.” On July 20, 1962, Berlin's mayor Franz Amrehn unveiled a plaque in the commemorative courtyard bearing the names of the officers executed there by a firing squad on July 20, 1944. Since 1989, the German Resistance Memorial Center's permanent exhibition has been a central site of remembrance in Germany, providing extensive documentation of the motives, aims, and forms of the fight against the National Socialist dictatorship. 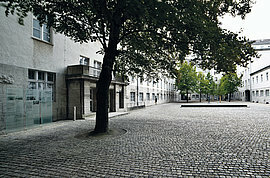 The commemorative courtyard of the German Resistance Memorial Center.